U.A.E.-based Emirates will launch a second daily non-stop flight connecting Los Angeles International Airport (LAX) and Dubai International Airport (DXB) on Friday, July 1, giving the airline the distinction of operating three flights that are among the world’s longest. 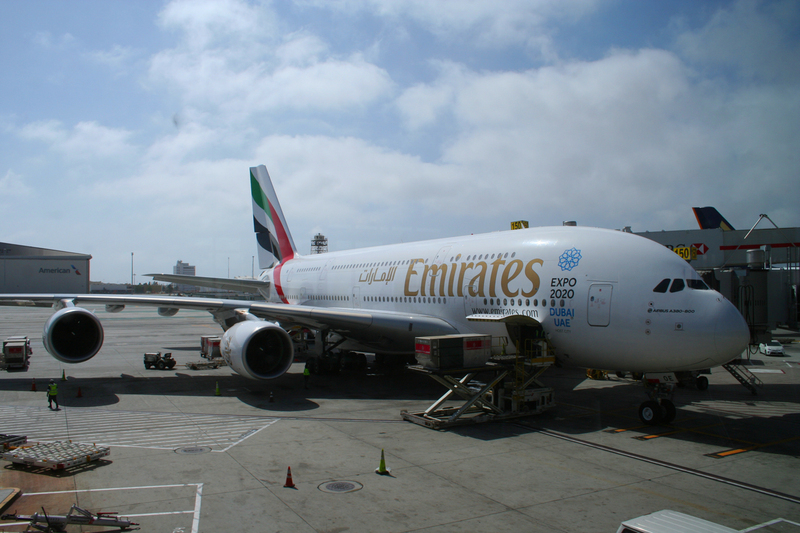 Emirates operates an Airbus A380-800ULR, the largest passenger aircraft currently in operation, on the LAX-DXB route. At 8,339 miles and a published duration of 16 hours 20 minutes, the route is the second longest flown by the A380 by both distance and duration. The route crosses eastern Canada, the North Pole and the Russian Federation. The flights that begin July 1 will also use an A380. Emirates also operates the world’s longest passenger flight by distance as well as duration. On March 1 the airline began non-stop flights between DXB and Auckland, New Zealand (AKL). Operating a Boeing (NYSE:BA) 777-200LR, the westbound flight from AKL to DXB has a published duration of 17 hours 15 minutes to cover the 8,825 mile route. Aided by the jet stream, eastbound flights are slightly shorter in duration. While Emirates began serving LAX in 2008 with a Boeing 777, it began using the A380 on Dec. 3, 2013. The addition of a second daily flight will double the carrier's capacity to serve the two cities in a little more than two and a half years. Additional flights between LAX and DXB is the latest move by the U.A.E.-based carrier to expand service from its 10 U.S. gateway cities and mirrors a similar action at Seattle-Tacoma International Airport (SEA), another of its West Coast gateways. Emirates started service connecting SEA to DXB on March 1, 2012 , then added a second daily flight on July 7, 2015, doubling capacity to and from the Emerald City in a little less than three and a half years. The second daily flight from LAX will make Los Angeles only the second of the carrier’s U.S. gateway cities to have two daily flights to and from Dubai. In addition to LAX and SEA, Emirates serves the U.S. cities of Boston (BOS), Chicago (ORD), Dallas-Ft. Worth (DFW), Houston (IAH), New York (JFK), Orlando (MCO), San Francisco (SFO) and Washington, D.C. (IAD). As with the existing LAX-DXB service, the new flights will be operated with an Emirates Airbus A380-800ULR aircraft in a three-class configuration with 14 private suites in First class, 76 seats in Business class and 401 seats in Economy. 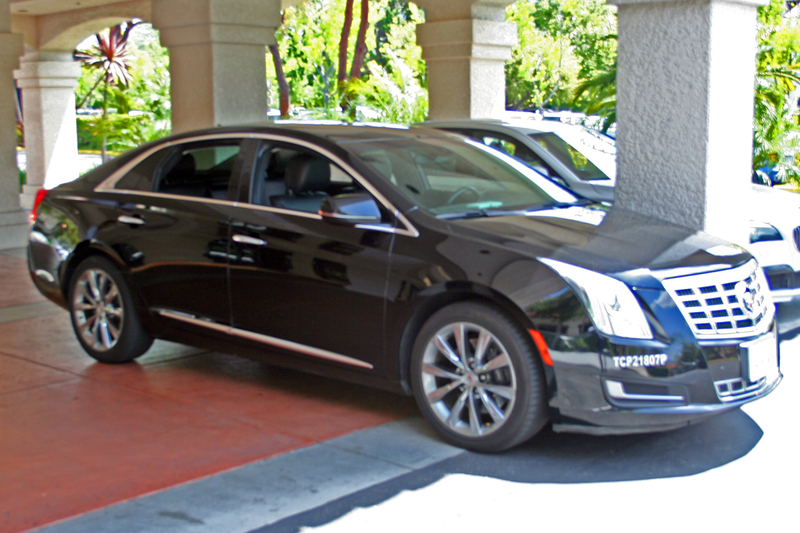 First and business-class passengers can travel to and from the airport “Hollywood style” via Emirates’ complimentary chauffeur drive service. Passengers traveling in the premium classes also have access to Emirates’ exclusive lounges in Dubai (DXB) and Los Angeles (LAX). On board the A380, premium class seating includes flat-bed seats as well as access to the on-board lounge as shown in the carrier’s television commercial featuring Jennifer Aniston. As Aniston also indicated, first-class passengers each have their own private suite and can freshen up in the A380’s on-board shower spa. The new service will depart Los Angeles at 10:30 p.m. and arrive in Dubai at 1:30 a.m., with westbound flights departing Dubai at 3:00 p.m. and arriving in Los Angeles at 8:00 p.m. The existing flights depart LAX 4:45 p.m. and arrive in Dubai at 7:35 p.m. the following day. The westbound flights currently depart Dubai at 8:55 a.m. and land at LAX at 1:55 p.m. 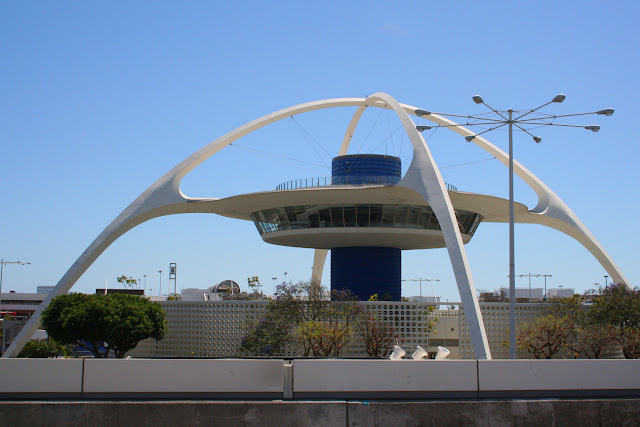 The 10:30 p.m. departure of the new eastbound flight will enable travelers to fly to LAX from many U.S. cities after the conclusion of the day’s business and still make a same-day connection to the flight bound for Dubai. The current flight’s 4:45 p.m. departure time requires passengers connecting through LAX to spend more hours of the workday traveling in order to make the late afternoon connection. The new, later flights will also provide travelers the option of spending a full day in Los Angeles, either conducting business or enjoying more leisure time, before departing for DXB in the evening. Emirates chose the complementary flight times to serve the growing customer demand for travel between Dubai and the western U.S., the carrier said in a release announcing the new flights. The departure and arrival times will also benefit those passengers connecting to Emirates’ global network of destinations beyond Dubai and will provide more choices and shorter connection times for many passengers connecting through Los Angeles for other areas. “Passengers wishing to travel beyond Los Angeles to nearby destinations in the U.S. can take advantage of our partnerships with Virgin America and Alaska Airlines,” Hubert Frach, Emirates Divisional SVP of Commercial Operations, West, said. Passengers can connect through partner Alaska Airlines (NYSE:ALK) from LAX to cities such as Mammoth Lakes (MMH), Monterey (MRY), and Santa Rosa (STS), California and Medford (MFR) and Portland, Oregon (PDX). As well as providing more options for travelers, Emirates says the additional flight will also increase the benefits to the region’s economy. The addition of a second passenger flight will also provide additional capacity for exports from Los Angeles and elsewhere in California. Fruits and vegetables grown in California’s Central Valley and other rich agricultural areas account for the largest portion of Emirates’ cargo exports out of Los Angeles. Those commodities are transported by two weekly freighter flights operated by Emirates as well as in the belly holds of the A380s with the vast majority of the agricultural exports transported to Dubai and Kuwait. The new flight from LAX will mean a total of three daily A380 flights from the U.S. West Coast to Dubai. Emirates also operates daily A380 service from San Francisco International Airport (SFO). Flights depart SFO at 4:45 p.m. and arrive at DXB 15 hours 40 minutes later, at 7:25 p.m. the following day. Westbound flights leave DXB at 9:10 a.m. and arrive at SFO 15 hours 50 minutes later, at 2 p.m. local time. The airline also uses the A380 on routes between DFW, IAH, JFK and Dubai in addition to the route between JFK and Milan, Italy’s Malpensa International Airport (MXP). Emirates provided me with transportation so that I could experience and report on various aspects of its service.